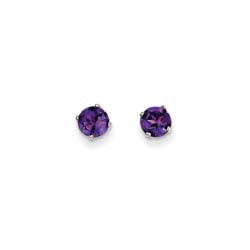 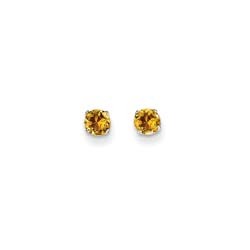 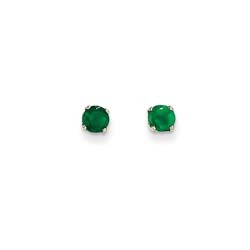 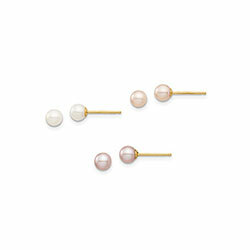 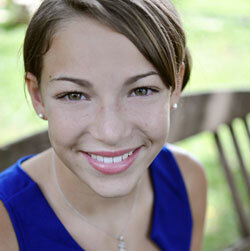 Shop our selection of children's stud earrings for babies, toddlers, and school-aged girls. 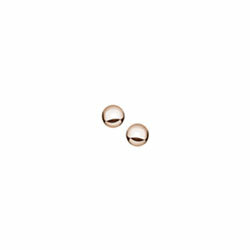 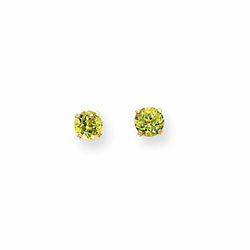 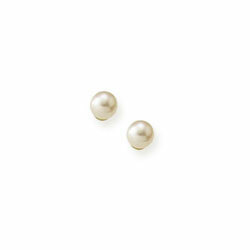 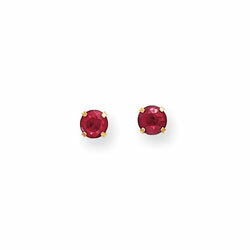 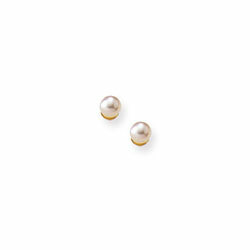 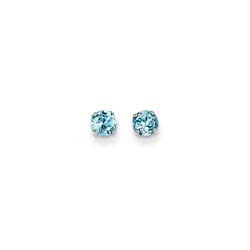 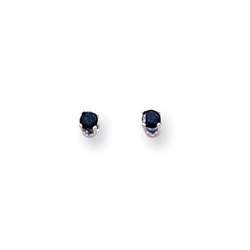 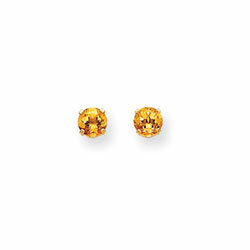 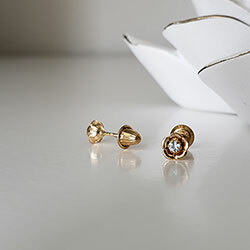 Stud earrings are defined as those earrings that appear to be free-floating on one's earlobe. 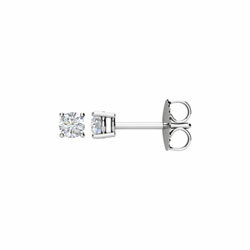 They're fastened securely with an earring back attached to an earring post which can be seen only from the back of the earlobe. 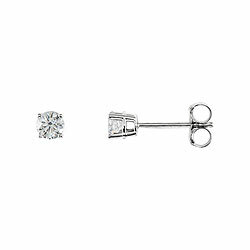 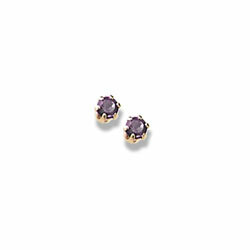 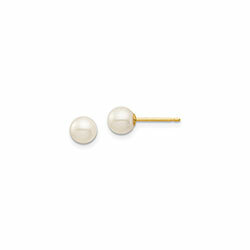 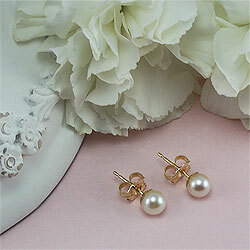 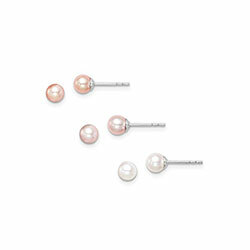 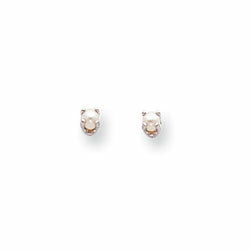 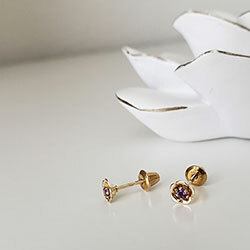 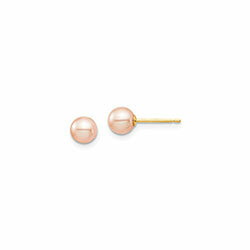 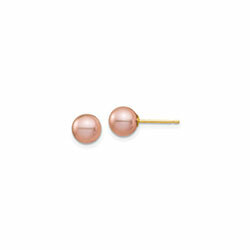 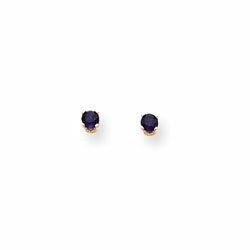 We have a beautiful selection of stud earrings for girls with both screw-back and push-back backs we think you'll love. 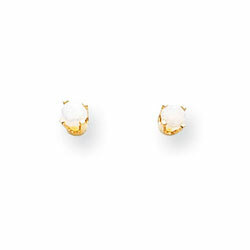 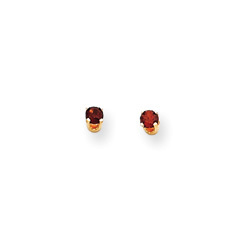 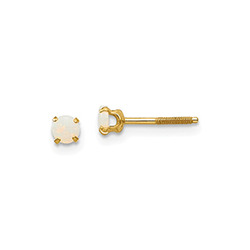 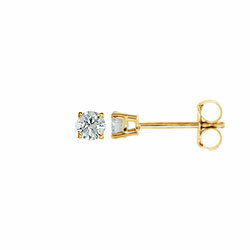 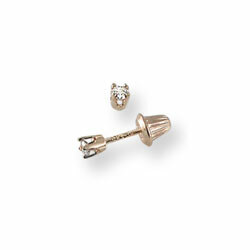 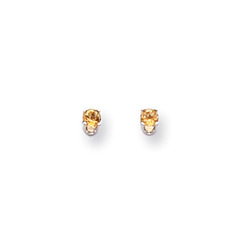 Shop only screw-back earrings for girls. Shop huggie hoop earrings for girls.